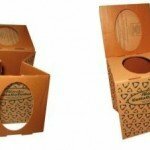 Waterless Cardboard Camping Toilet that is easy and safe to use. Toilet tissue mounts below the seat panel or on the front section with double sided tape (included). That way the toilet tissue will be right where you need it. 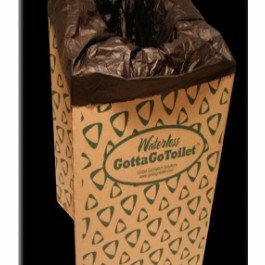 When you are ready to use the GottaGoToilet™ just pop in a waste bag and it’s ready to be used. Bags can be stored between the rear overlapping flaps. Waste bags folded over seat surface keeps it sanitary. 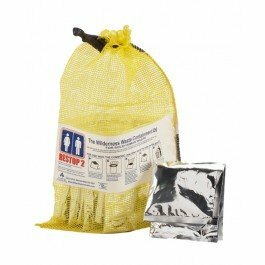 Use a waste bag to protect unit from wet ground. Hold between knees to remove or apply the rubber band. Replace in resealable bag after usse to keep moisture out. Simply place one of the bags over the toilet opening and use the toilet. 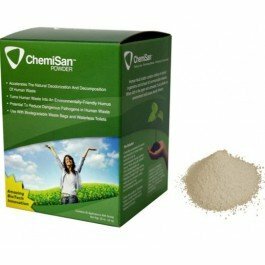 When finished, seal the bag and discard it properly to decompose or bury it. It is easy and clean. 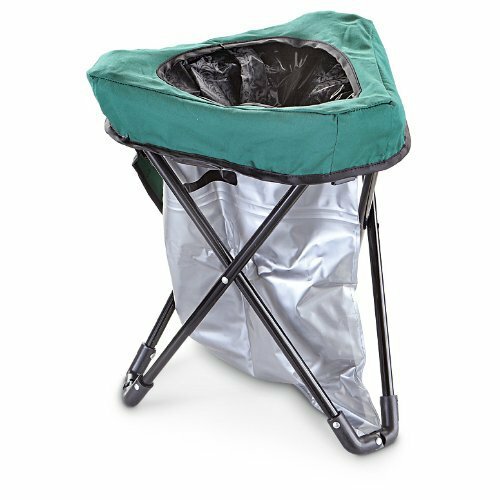 Measuring 12" x 15" x 2¼"
15" (38cm) high and has a comfortable 13" x 13" sitting area (33x33cm)T The GottaGoToilet folds to a compact 13" x 2" x 15" (33 x 5 x 38cm) so it's easy to store and carry.